Ester-C “Psychiatrist” is one of four :15 spots recently created at Hatch Studios Ltd. 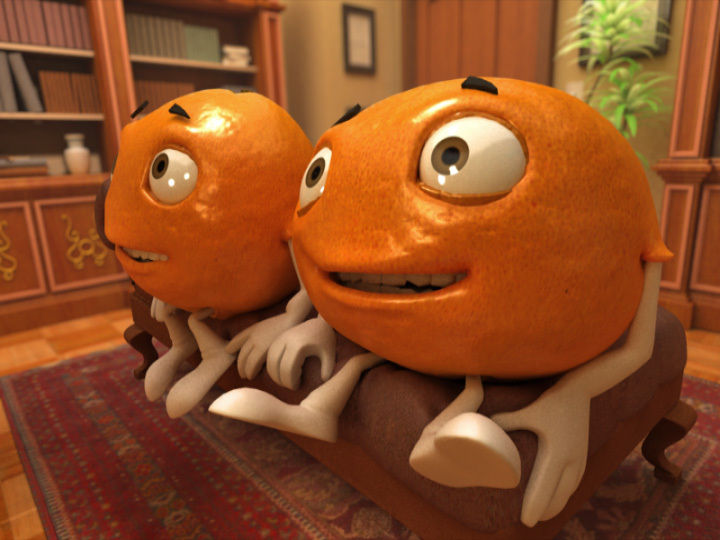 It features two comedic Orange characters that were developed and created at Hatch for the branding of the new vitamin product. All four spots were created from scratch in just under one and a half month’s time which was quite a laboreous task due to the various highly detailed environments. 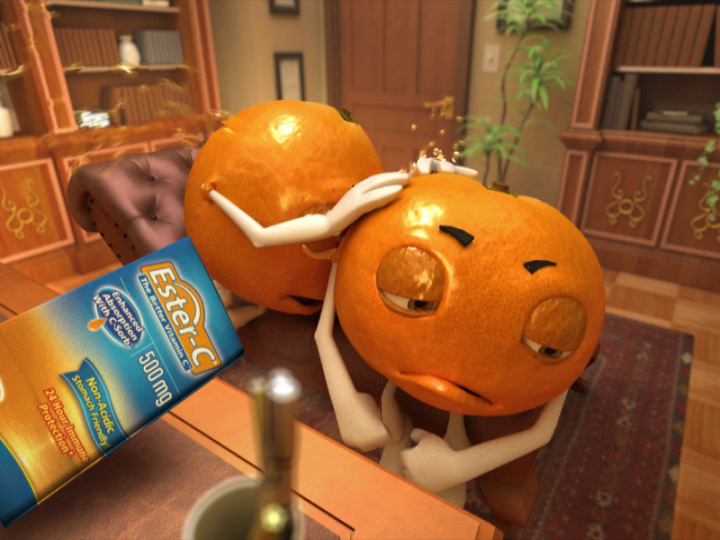 The character textures were created from real orange peel scans enhanced with displacement mapping and subtle glossy reflections. Stretchy arms, legs and bodies were incorporated into the IK in order to achieve exaggerated cartoon style squash and stretch animation. The spot was modeled with Silo & 3dsmax, animated with 3dsmax, lit and rendered with VRay 1.5 RC3, and composited with After Effects. The depth of field was created with DOF PRO.